Hey, you found us, that’s great! Thanks for taking the time to learn more about our company. We’d like you to feel as comfortable with us as our customers do! Maybe you found us because a friend referred you, or maybe you found us from an online search, either way, our goal is to provide the same level of service to you that our closest friends receive. Keep reading and you will learn more about what kind of a company we are, and how we operate. 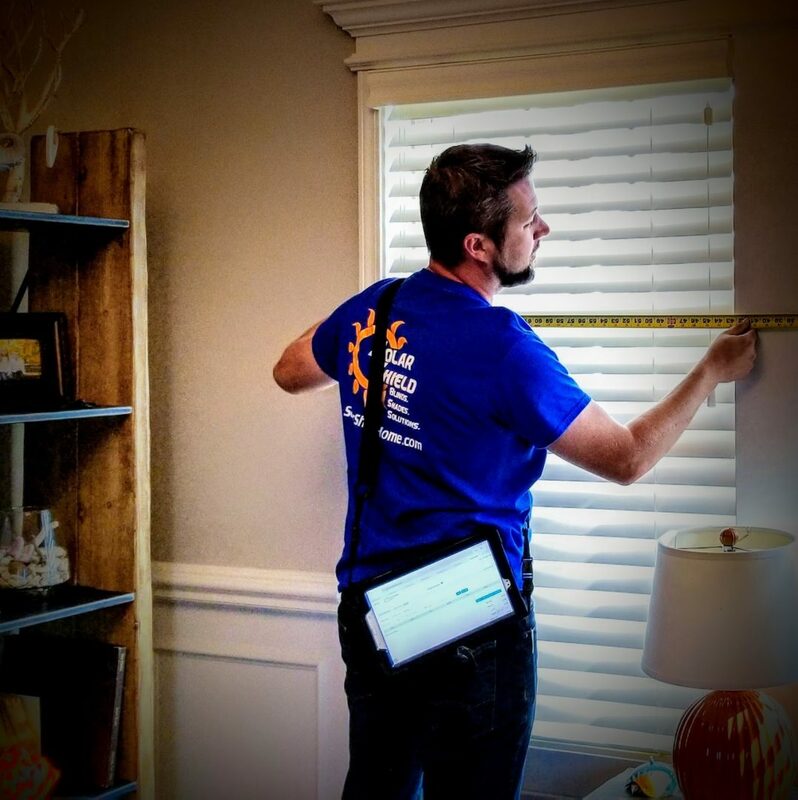 I’m Tim Sanders, owner of Solar Shield Blinds. Shades. Solutions. My wife, Denise, and I have been operating Solar Shield in the Peoria, Illinois area since 2006. We have continued to change and adapt our business as we have grown over the years and we have learned a lot. In early 2018 we got the opportunity to expand our business to Kansas City, MO and decided to take the leap! We’re excited for the new opportunity and we are very eager to share our experience and knowledge of window coverings with you and help provide you with the best possible solution for your windows. Our goal is to help you solve whatever problem you are having at your windows. Whether you need privacy, light control, heat protection, energy efficiency, or you just need to add an element of design to your window to finish your room, we have the solutions you need. You have probably picked up on the word “solutions” many times on our site, but that’s the best word to describe our focus. We want to provide our customers with the best possible solutions for their windows. In an industry that sometimes focuses more on just selling a particular product or brand, we make sure to address the issues at hand and give recommendations based on the best solutions. Don’t get me wrong, we love to sell our products, but we believe that our products should be the best solution for you and your windows. We carry many different lines of window treatments to be able to provide the exact solution for your needs. Our process is very thorough. When we meet with you we will discuss your specific needs. We will listen to your concerns and make sure we understand exactly what you’re wanting to accomplish with your window coverings. We will help educate you on what product options are available to you, and then we offer our best recommendation based off of our in depth assessment of your windows. We take time making sure you understand exactly what you are going to get, and we make sure there won’t be any surprises at the time of install. We provide a complete estimate at the time of measure, as long as all of the details have been decided so we can make sure we are working within your budget. Our team is made up of excited, enthusiastic professionals who are eager to help you solve your window related problems. From our knowledgeable and caring customer service team, to our in-home design techs, to our install technicians, our goal is to provide you with a pleasant experience that you will be thrilled with, and quality products that you will love for many years to come. Our product warranties, our service guarantee, and our dedication to follow up service is one of the things that sets us apart from the rest. First, we only partner with suppliers and manufacturers that offer high coverage warranties on their products. Most have limited lifetime warranties, but they all have at least 7 years on basic components and cords. Second, we offer a 3 year Solar Shield Service Guarantee on any product we sell and install. If you have any questions or problems within three years of purchasing anything from us, you just call or email our office and they will set up an appointment for one of our Install Techs to come out and inspect your products. We believe in follow up service so much that we offer this guarantee to all of our Solar Shield customers at no additional charge! We’re here for you and your windows for the long haul. You can buy with confidence when you purchase any Solar Shield product. We are a proud member of the National Association of the Remodeling Industry (NARI).